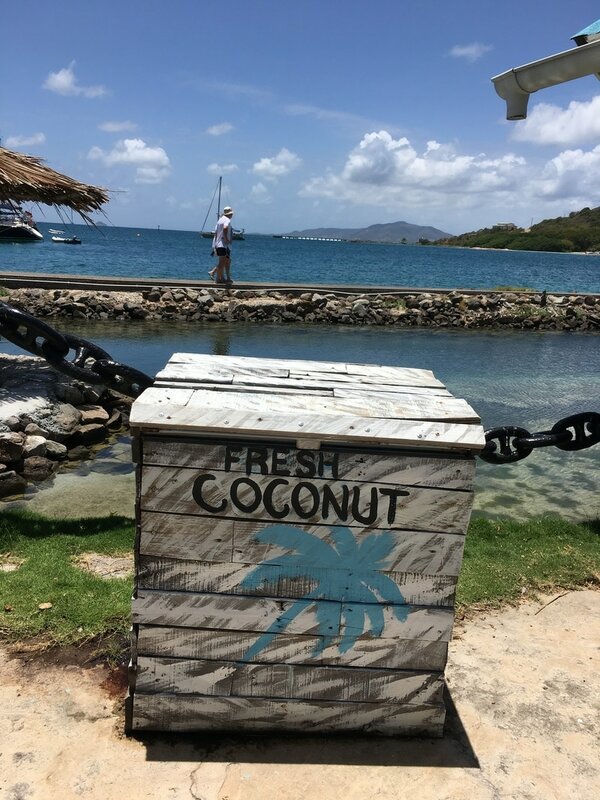 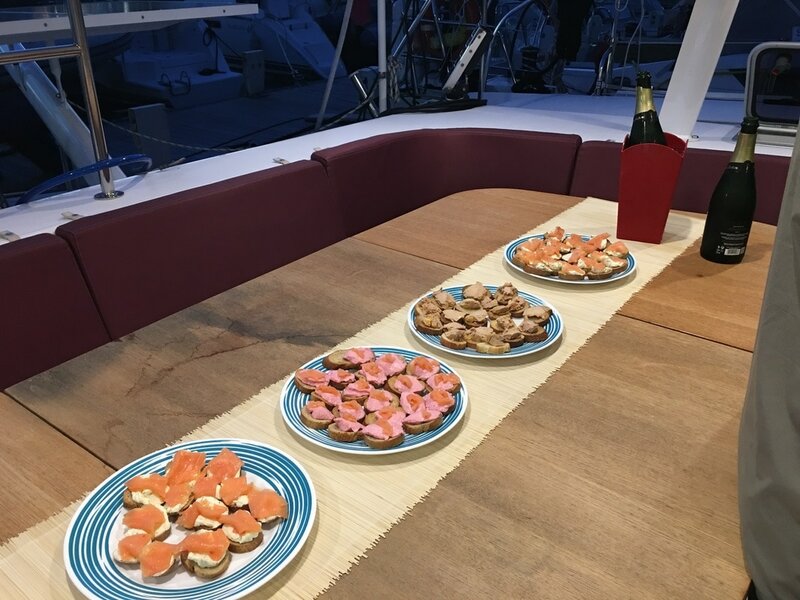 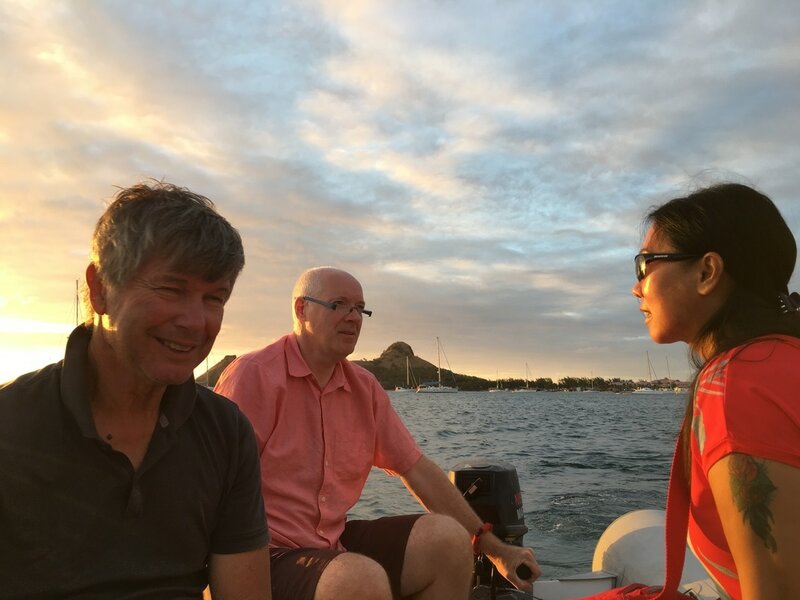 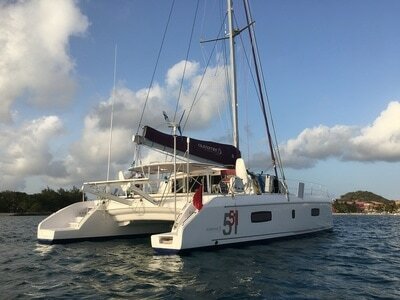 In the spring of 2017 we traveled to Martinique to meet Hamish Brewer on his newly acquired Outremer 51 (hull #36) for 2 weeks of cruising in the Caribbean and sail training for Janet , his wife, and Hamish so that they can cruise comfortably as a couple. 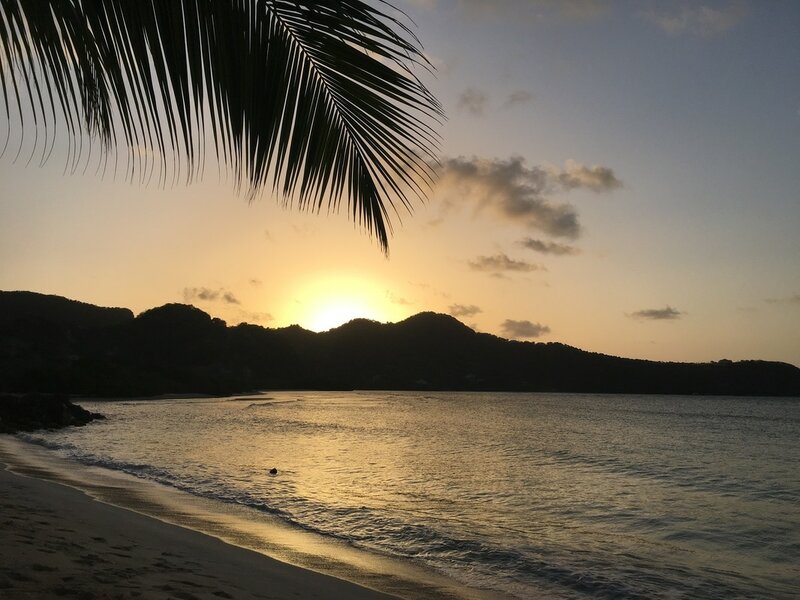 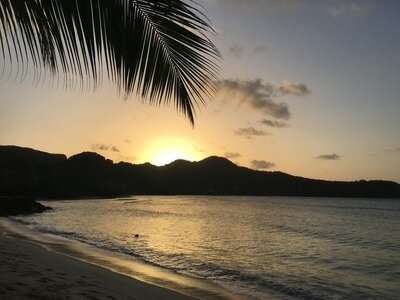 Our travels took us to: St. Lucia, Tobago Cays, Dominica and Martinique. 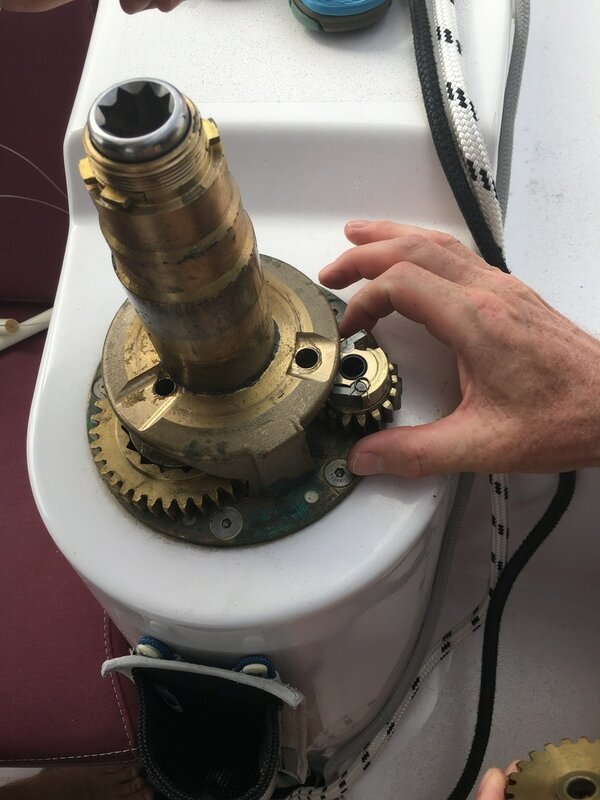 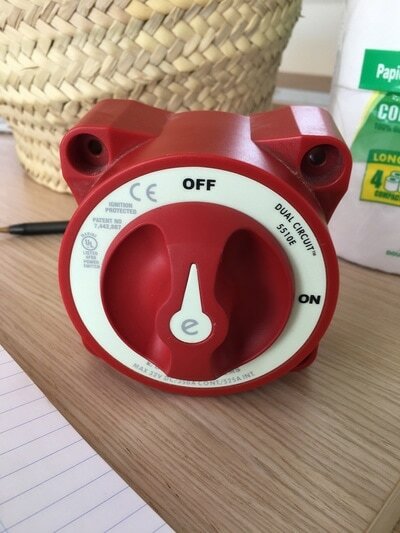 We had the opportunity to do a bit of a shakedown cruise and tend to a few issues that needed attention. 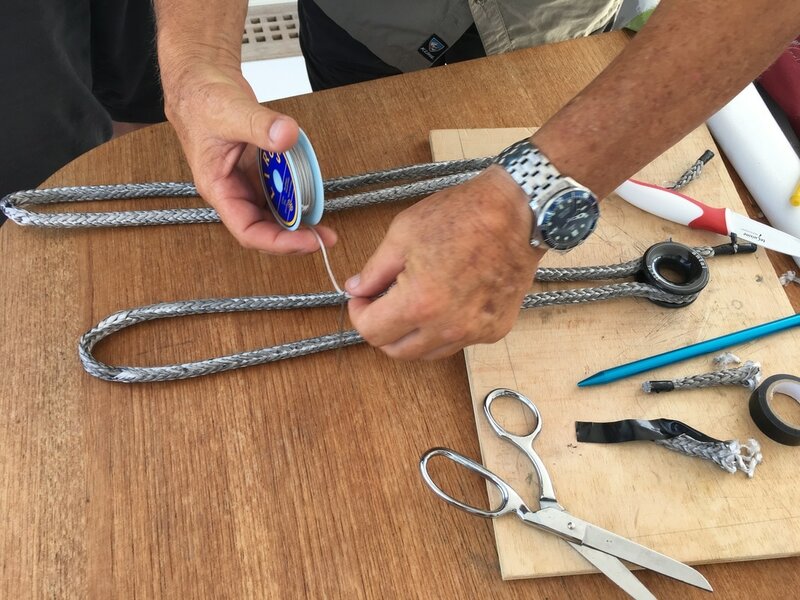 We also had fun doing boat projects: making dyneema loops, some with low friction rings, changing the lines on the daggerboards and cleaned and greased all of the winches. 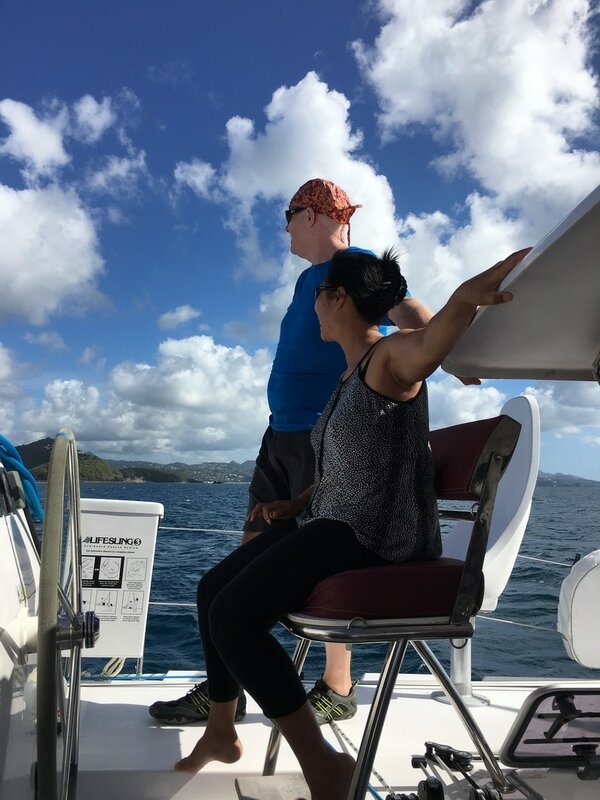 We had the chance to practice dinghy driving, raising sails, docking, anchoring, picking up mooring balls and close quarters maneuvering. We covered about 250 NM and had a few fun rendezvous with other Outremer owners. 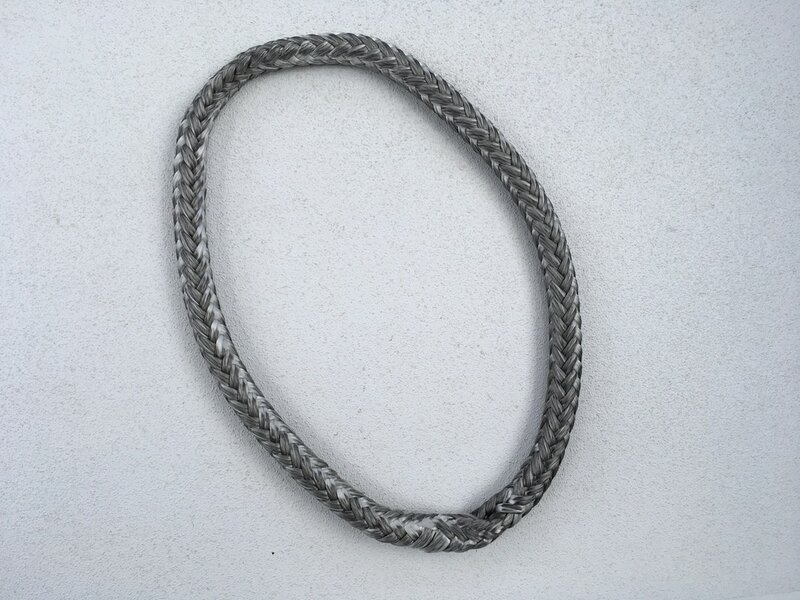 Dyneema loops with low friction rings whipped in. 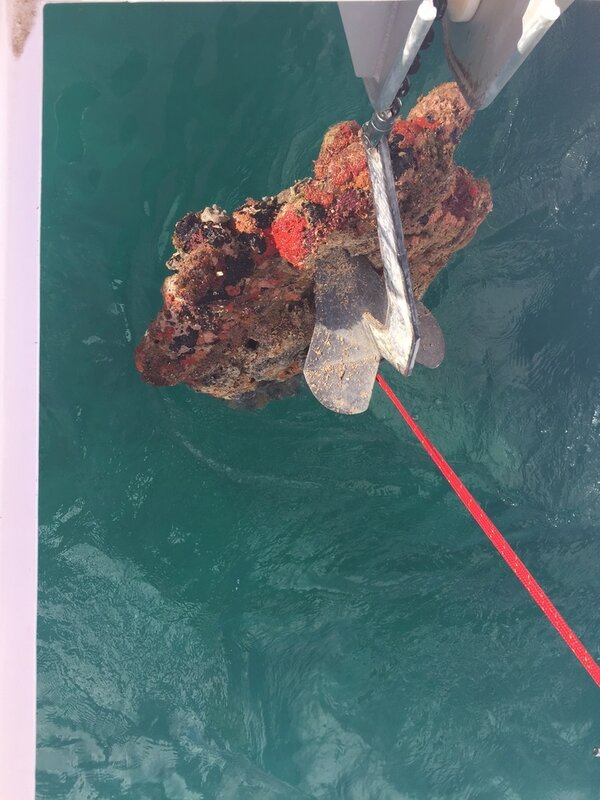 The anchor got firmly stuck onto a piece of rock covered with coral. Jan, Hamish & Janet driving in for dinner. 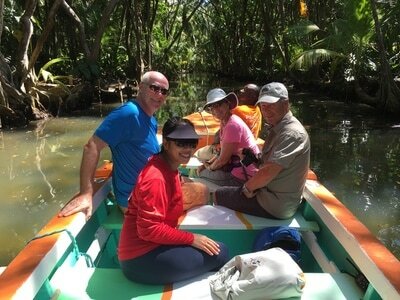 Exploring the Indian River on Dominica with Albert.